Smoke has appeared over Bachelor Nation headquarters, which can only mean one thing: We officially have a new Bachelor. 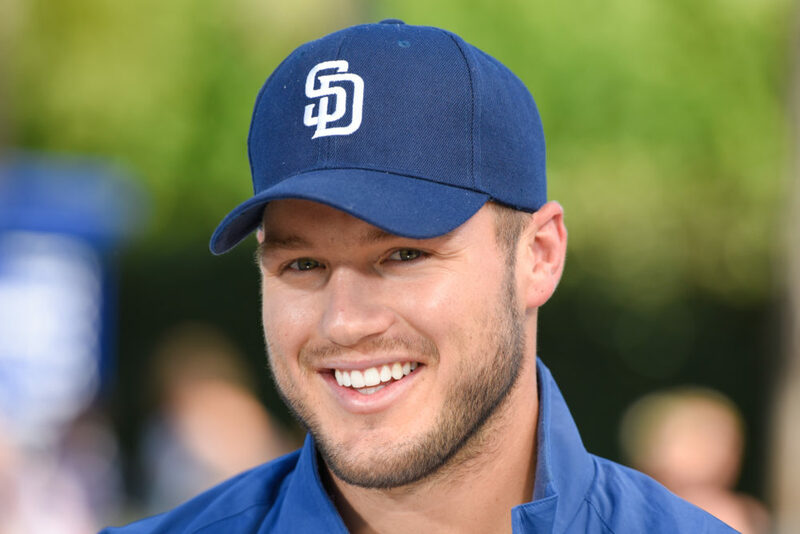 It was revealed this morning, September 4th, on Good Morning America that Colton Underwood will star in the upcoming 23rd season of the show. After failing to capture Becca Kufrin’s heart on Season 14 of The Bachelorette earlier this year and exiting Season 5 of Bachelor in Paradise just last night on September 3rd, the former football player is looking for his third shot at love within the iconic franchise. The 26-year-old Indiana native (who dated Olympic gold medalist Aly Raisman from late 2016 to mid-2017) was linked to three NFL teams—the San Diego Chargers, Philadelphia Eagles, and Oakland Raiders—before his turn on The Bachelorette. And while competing for Kufrin’s hand in marriage may have initially introduced Bachelor Nation to Underwood, the former football player is also known for his romance with another Bachelor alum. Underwood made headlines during his time on The Bachelorette after it was revealed that he briefly dated Tia Booth, Kufrin’s friend and fellow competitor on Arie Luyendyk Jr.’s season of The Bachelor. Over the course of Kufrin’s season, viewers learned that Booth and Underwood had gone on a date just prior to his being cast on the show. Booth later made an appearance on Kufrin’s season, revealing to her friend that she still had feelings for the football player. During the current season of Bachelor in Paradise, Booth and Underwood reunited, but broke up once again. Underwood, who placed fourth on Kufrin’s season of The Bachelorette, also made headlines after revealing he was a virgin to Kufrin during a one-on-one date (no shame in that game!). While many in Bachelor Nation are curious to see how Underwood fares as the next Bachelor, the majority of devoted fans are disappointed that the franchise chose him over Jason Tartick, Blake Horstmann, and Grocery Store Joe. After two seasons on Bachelor shows, viewers aren’t exactly sold on the current choice. Good Morning America: COLTON IS THE NEXT BACHELOR!!! Producers: You can either have Tia or be the bachelor? While we’re admittedly skeptical about Colton as The Bachelor, we still have plenty of time to get on board before the new season premieres in 2019.